Marcy students provide for SOS summer needs - Hamilton School District. Marcy Elementary School families collected single serving food items to contribute to Sussex Outreach Services (SOS) Food Pantry. 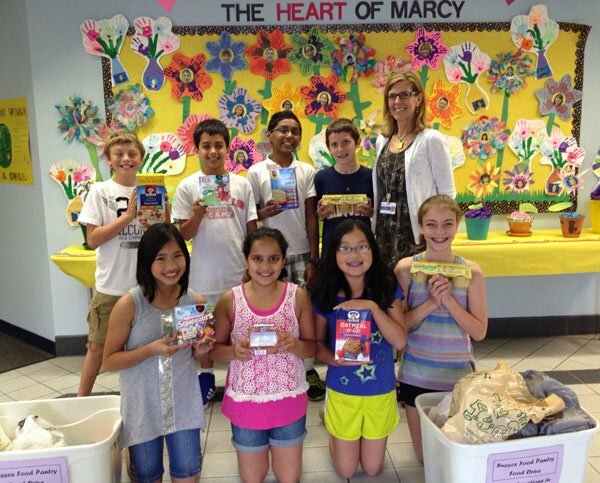 The Marcy fifth grade Leadership Group decided to organize the service project so that children will have easy summer grab-and-go items such as oatmeal, fruit cups, granola bars and juice boxes.